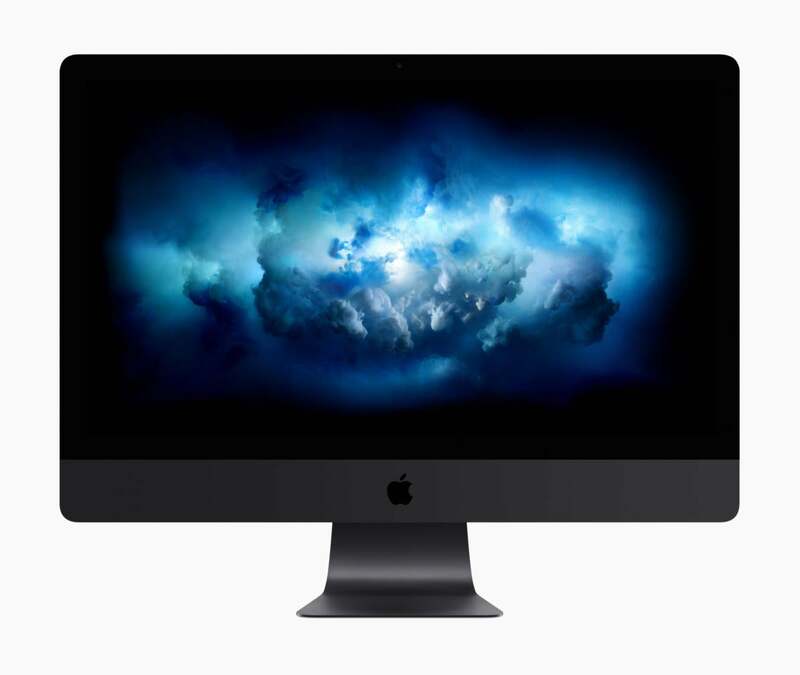 The latest rumor about the iMac Pro makes sense. Here’s what an A10 Fusion Mac might look like. In the latest in a long line of leaks lately, a recent report says that the upcoming iMac Pro will also include an A10 Fusion chip—the same processor that powers the iPhone 7 series. This is a shoe we’ve been expecting to drop for some time, and it’s fueled a lot of discussion of whether or not a Mac solely powered by an ARM processor might be in the offing. I think it’s pretty clear that if this report is true—and the evidence is solid enough to believe it is—that this first Mac with an ARM chip won’t be the last. But at the same time, it doesn’t mean that Apple’s about to throw the x86 architecture to the side and put all its chips—if you’ll pardon the expression—on ARM. The A10 chip in the iMac Pro seems to be relegated to certain specific functions, though we don’t know all the details of its responsibilities yet. Secure boot has been mentioned as one task, which would also have the side effect of making it harder to run macOS on unauthorized hardware. But the other prominent feature that the A10 apparently handles is “Hey Siri” functionality for the Mac. Which draws an interesting parallel back to Apple’s iOS devices. The first iPhones to allow you to say “Hey Siri” without actually touching the device were the 6s and 6s Plus, which harnessed the M9 coprocessor, generally dedicated to tracking activity, to listen for Siri commands. So let’s cook up a little analogy: the A10 chip in the iMac Pro is to its x86 processor as the M-series motion coprocessors are to the A-series processors in iOS devices. That is to say that they handle a limited range of tasks, especially those that you don’t want to ramp the entire processor up for because of power or heat concerns. Obviously those concerns are reduced on a device that’s always plugged in and doesn’t have the same space constraints as one that you carry in your pocket, which means you can use an even more powerful processor, like the A10, for those tasks. There are some indications that the A10 could even keep listening when the iMac Pro is shut down, although it’s unclear exactly what the utility of that might be. Much as Apple might value its close partnership with Intel, corporate memory is long, and there’s no doubt that Apple hasn’t forgotten the era when its PowerPC chips lagged behind the x86 chips that powered rival PCs. That’s a situation that Apple, like Scarlett O’Hara vowing she’ll never go hungry again, doesn’t ever want to return to. Given all of that, it seems pretty likely that the iMac Pro is only the first Mac to have an A-series chip in it. Apple will eventually want to extend the features it’s using the ARM chip for, especially those related to security, to the rest of its Mac line, and no doubt it will come up with additional features that the ARM coprocessor is ideal for. The Mac’s great strength has always been its close ties between hardware and software, and the integration of an Apple-designed processor just takes that to the next level. In the end, I think the most crucial reason that Apple would embrace ARM on the Mac is that we’ve seen a change in the competitive landscape. Macs, by all indications, continue to outperform their PC rivals, a stark change from a decade ago. The dynamics of competition in processor are no longer about sheer speed, as measured by megahertz; even slower chips can adequately handle most daily tasks, like web browsing. Instead, it’s become more about the broadening the other dimensions of processors—their power efficiency or their ability to use multiple cores to accomplish tasks faster, as well as working with software to offload some of its tasks to other hardware, like GPUs or task-specific coprocessors. If nothing else, Apple’s move to include an ARM-based coprocessor in the iMac Pro should be taken as a sign of the company’s continuing investment in its desktop and laptop lines, as it tries to keep coming up with innovative ways of melding hardware and software into one unified whole.